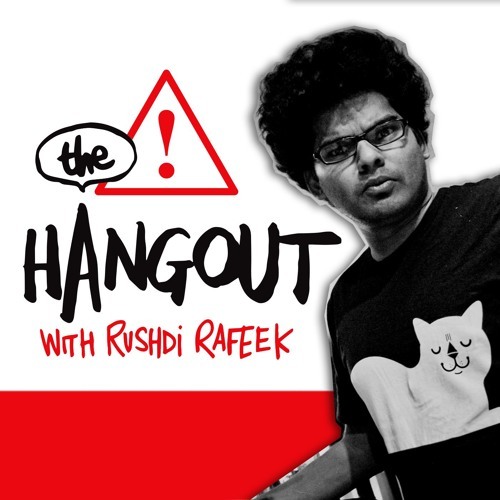 Rushdi Rafeek, a prolific stand up comedian in the United Arab Emirates scene is your host for The Hangout with Rushdi. The Hangout features upcoming or undiscovered artists, performers, content creators and more. Hang out with Rushdi and the team for conversations covering the real to the surreal, how to deal with the daily grind, to crazy life-changing experiences... any and all issues relevant to our world today. Get to know more about the interesting characters who survive and thrive in the UAE, Middle East and beyond. Come hang out with us! New episodes weekly. Hosted by top rated comedian Rushdi Rafeek.